Oil and gas companies are targeting Washtenaw County and buying up land leases and property mineral rights. 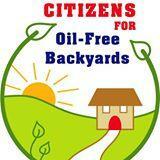 In This week's "Issues of the Environment," David Fair talks with the President of Citizens for Oil Free Backyards, Laura Robinson. It's ball one in Scio Township. A Traverse City-based oil and gas company was looking for a strike as it dug its first exploratory well in search of fossil fuel deposits, but missed the plate. Some local lawmakers and drilling opponents now hope to get on base in Lansing. 89.1 WEMU's Andrew Cluley reports organizations opposing oil drilling in neighborhoods will rally Tuesday in Lansing.